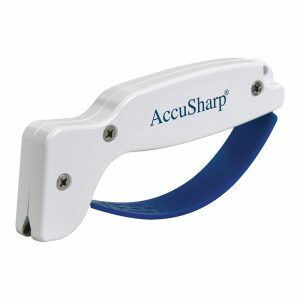 As far as best sellers are concerned, the AccuSharp 001 fits the bill perfectly. Let’s dig in and talk about everything that makes this such a fan favorite! Another unique, unorthodox system you can add to the list (I’ve seen many so far!). There certainly are a number of manufacturers willing to push the boundaries and get creative with their designs, but what affect does this have on the actual functionality and results? Scroll down! 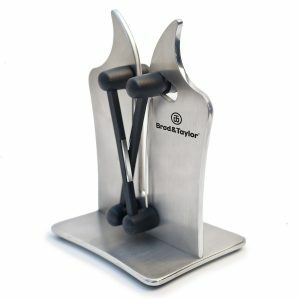 The Brod and Taylor professional knife sharpener is elegant, easy to use, and versatile. Introduced by founder and Engineer Michael Taylor, this sharpener boasts high quality Austrian carbide abrasives, and promises to sharpen even the dullest of blades. Scroll down below to see the pros and cons! This bad boy can be used to sharpen a plethora of items: scissors, utility knife, paring knife, pocket knife, and even pliers! See below for product description. Complete control and extraordinary results. This is what you get when using a good stone with the correct technique. 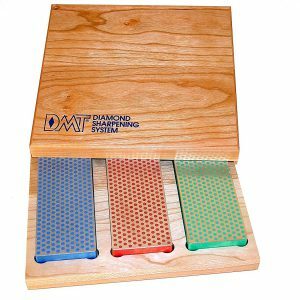 This set of DMT diamond sharpening stones comes with 3 different grits: extra-fine, fine, and coarse. Scroll down to read the pros and cons! This is probably one of the most strangest looking products I’ve seen in a while. 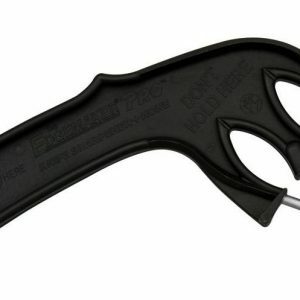 At first glance, I almost mistook this for something other than a sharpening device. Pros and cons for this “pull through” style below! A petite single stage sharpener that’s perfect for hunting, camping, fishing and other outdoor activities. Chuck it in your backpack or pocket, and you’re done. 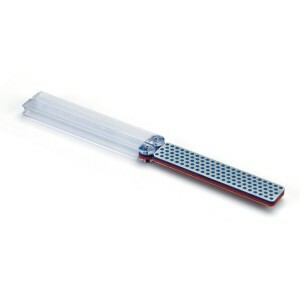 Great for quick and easy touch-up sharpening, also! Neither an electric nor manual knife sharpener, this sharpening stone comes with a 1000 grit to sharpen your knife and a 6000 grit to hone. 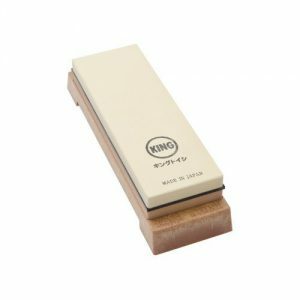 Scroll below to read the pros and cons of this whetstone that is manufactured in Osaka, Japan! Do expensive products always outperform inexpensive products? Definitely not in this case. 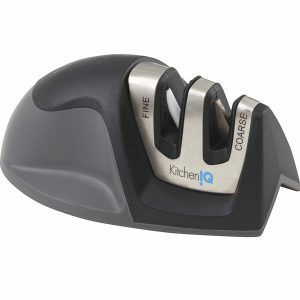 Keep reading to see what makes this knife sharpener a best seller! 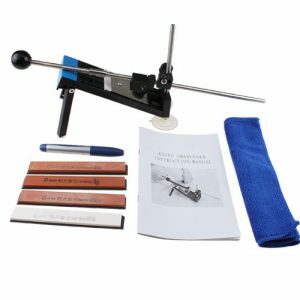 Another sharpening system that chooses to do things completely differently! But how good is the knife clamp and guide rod setup in practice? 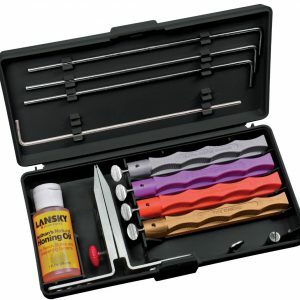 Scroll down below to read the pros and cons for this Lansky sharpener. This is probably one of the most stylish knife sharpeners I have ever seen! 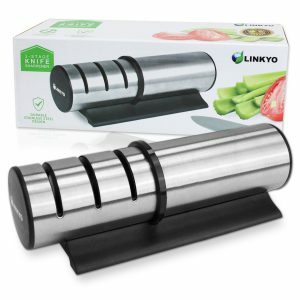 The LINKYO knife sharpener is beautifully designed and will look good on any kitchen counter-top, but what about functionality? Is this sharpener all looks and no brains? Scroll down to read the pros and cons! 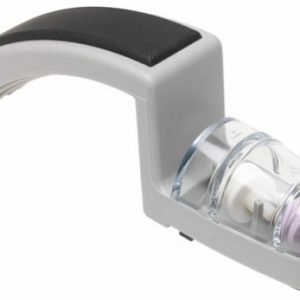 Model 220: the first ceramic water sharpener to be introduced by Minosharp. 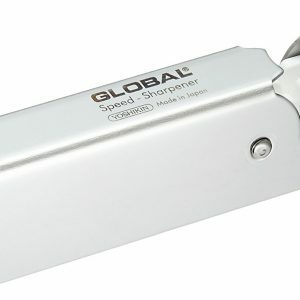 Designed with the intent of sharpening global knives, this device would become hugely popular among enthusiasts and newbies alike. Below is everything you should know to help you decide whether to buy or pass.